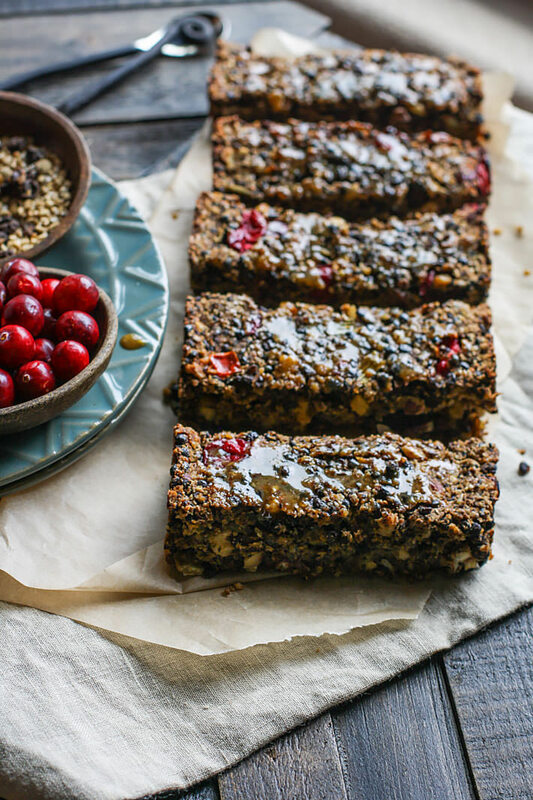 Gluten free Cranberry Maple Lentil loaf! 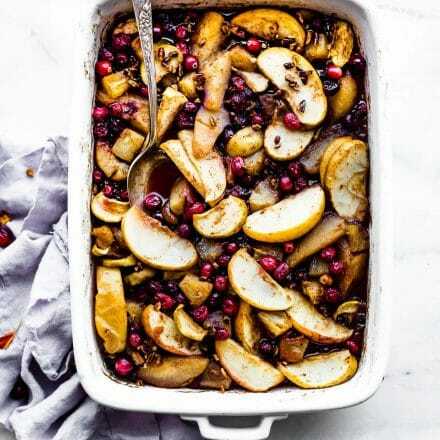 A vegan holiday dish to add to your table. 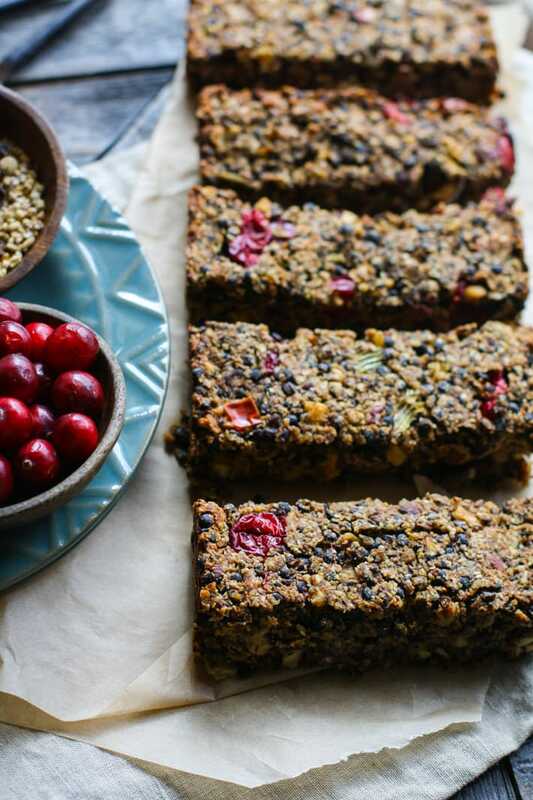 Lentils, fresh cranberries, nuts, and sautéed veggies all baked up into one healthy and delicious lentil loaf. The Maple glaze topping makes it even more flavorful. Easy to make. I say this every year, but how did the Holiday season get here so fast? I swear we were just sweating buckets of summer just a few days ago. Then bam, FALL! This Fall feels quite different though. It’s busy and will keep getting busier, in a good way! Usually, this is the time of year when my husband starts his off season, but not this year. Crazy how much our life has changed over the past 7 months. It’s one shift after another, and we’re definitely learning that God has this planned. We just need to be grateful. Oh gosh, okay, before I get to corny, let me talk about being grateful in terms of THANKSGIVING, ok? Like, how thankful I am that I get to create recipes for people with food allergies or dietary preferences. Including myself! Like, how thankful I am I get to share recipes with YOU ALL and share vegan, paleo, healthy, semi- healthy, gluten free, and grain free. Yes, even the trial and error recipes. At least I get to share those with my friends, co-workers, neighbors, and family. Grateful for my taste testers (heck, the carnivores even tried this lentil loaf). I am thankful I get to do this every day! Not because I have to, but I truly WANT TO. This, my friends, is why I keep posting every week. Today’s gluten free vegan lentil loaf recipe is definitely one to be thankful for. It’s actually a recipe I had someone request. Because, you see, they are planning on having gluten free and vegan friends over for Thanksgiving dinner and needed ideas. You know, besides the tofurky. I was definitely more excited to create a gluten free lentil loaf for my friend than she was to make it. But I promised her it would be easy to make and liked by all, even non vegans. So a few weeks ago (when it still felt like summer), I got in the kitchen and started experimenting. Ya, my kitchen was a mess. The best kind of mess. I still had another bag of lentils and fresh cranberries, so why not make the most of both, right? The lentils would act like the “beef;” a hearty base. And the cranberries and other vegetables would give it that BURST of flavor. All that was left for this vegan recipe was finding the perfect binder. One that would, once again, compliment the other ingredients. I tried a few ways, but then settled on the chia egg. 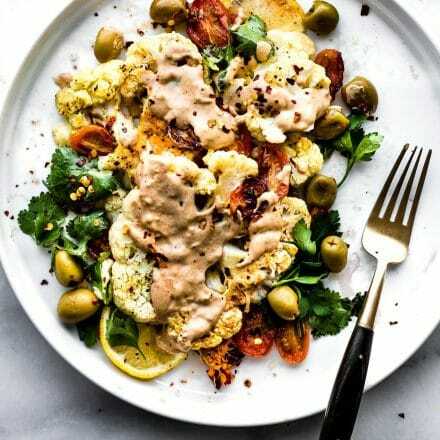 Better Body Foods Organic Chia not only made the dish stick together perfectly, but it also have this dish a healthy dose of fiber, protein and omegas –> BONUS for sure! Besides, it made the lentil loaf look so much prettier, don’t you think? Pretty food equals good food. Well, most of the time. I know, I know, it’s more than lentil and chia talk. It’s the LOVE that goes into making dishes like these. These are the dishes that say “Hey, I care about you” to those with dietary restrictions or food choices. And although Thanksgiving is more enjoying EACH other and being thankful, it’s also nice for everyone to gather around the table eat together, not feeling left out. So here’s an idea. Maybe you should make this lentil loaf this Holiday season, and serve it alongside your other delicious dishes. Most likely you’ll be doing someone (vegan or not) a favor by making an allergy friendly dish. I promise it’s SUPER EASY to make! Oh, and did I mention there was a glaze?? Yes, that is the icing on the cake….errr loaf? First, make sure your lentils are cooked. They should only take about 20 minutes or so. Follow instructions according to package or see notes for how to cook lentils. Once cooked, drain and measure out 2 cups to use in this recipe. Set aside. 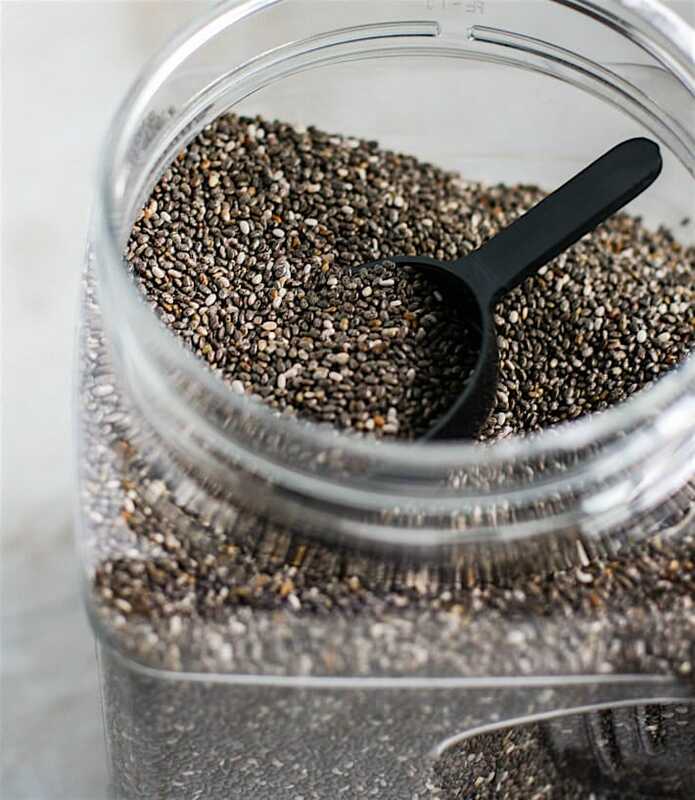 In another bowl, combine your chia and water, mix together and set aside to let it gel. Combine your lentils, seasoning, cranberries, and vegetables all in one skillet with oil. Cook on medium until onion are cooked and lentils are soft. You want to be able to mash the lentils easily. Should take about 10 minutes. Combine your oats and bread in a food processor, grind you until you get a flour texture. Add your oat flour to your lentils and vegetable bowl, then add in your chia egg/mixture, and finally mix in the chopped nuts. 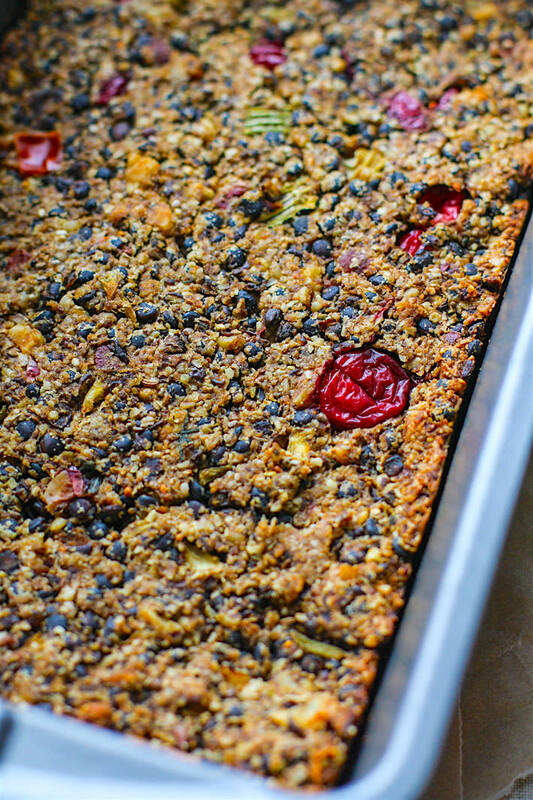 Mash and mix everything together with hands or spoon and then press into a 9×5 greased baking pan. While that is cooking, make your glaze. COmbine the maple syrup, olive oil, balsamic vinegar, garlic/pepper, and dijon mustard in one bowl. Whisk until smooth. Remove lentil loaf from oven and coat with maple glaze. You will probably have extra. Feel free to use Agave nectar instead of Maple syrup for the glaze. It works well too and is vegan friendly. Too cook lentils, use 3 cups of liquid (water or broth) to 1 cup of rinsed lentils. Bring to a boil, cover tightly, reduce heat and simmer for about 15-20 minutes. Drain the lentils and set aside in a bowl. 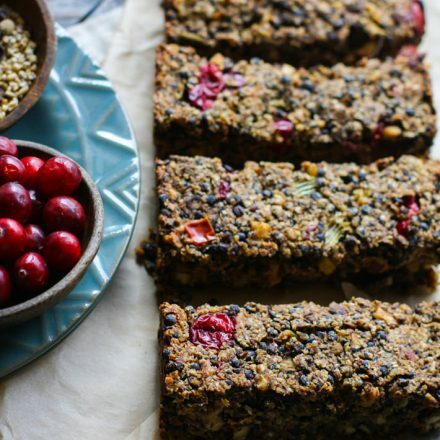 Healthy, gluten free, vegan, and DARN TASTY –> I do not lie. Trust me when I say this gluten free lentil loaf recipe looks harder than it actually is. It only took an hour or so and is delicious! Give it a whirl before Thanksgiving and see for yourself. Mmmm k? YUM! 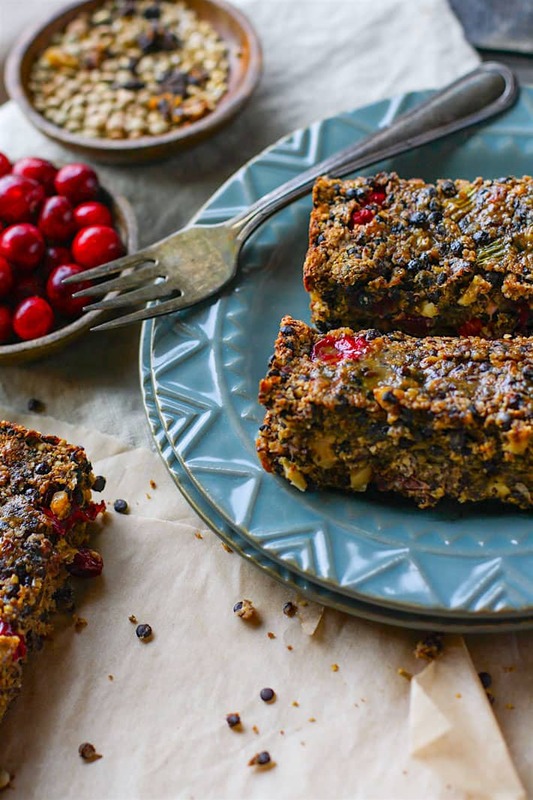 #glutenfree Cranberry Maple Lentil loaf! A healthy #vegan dish for your Holiday table. Are you already planning Thanksgiving? Ever tried vegan lentil loaf? 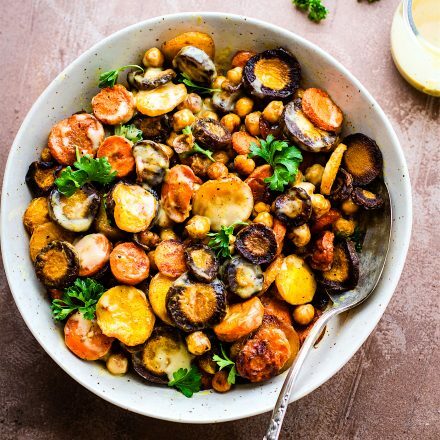 Genius vegan holiday dish, and the pictures blow me away! Couldn’t be more gorgeous! Yum! I would make this and the turkey so I could have both! Love that you added chia seeds too. Loved reading this and love your heart for making amazing food! 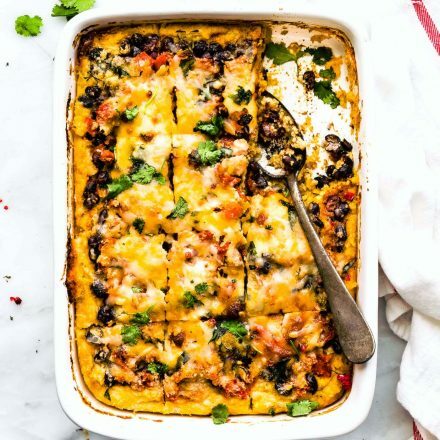 I know right now the Hubs wouldn’t go for this, but I’m definitely adding it to my list of must try recipes this month! theres so much goodness going on here! Cranberries and a maple glaze??? What! the glaze is sooo good! This might be weird but I love the texture of this–I feel like I can taste it through the screen! Love love love chia seeds in everythinggggg. not gonna lie, the texture is AWESOME> loved it! Another winner here Linds, and I think it looks perfectly pretty on its on…for the record 🙂 What a good idea! Thanks for sharing with us for Meatless monday! The holidays are here but us Floridians are still sweating buckets haha WAA!! This is such an interesting and creative combo I can’t wait to try it! Absolutely in love with how this sounds, lady! The texture looks awesome, and I’m loving all the seasonal flavours. 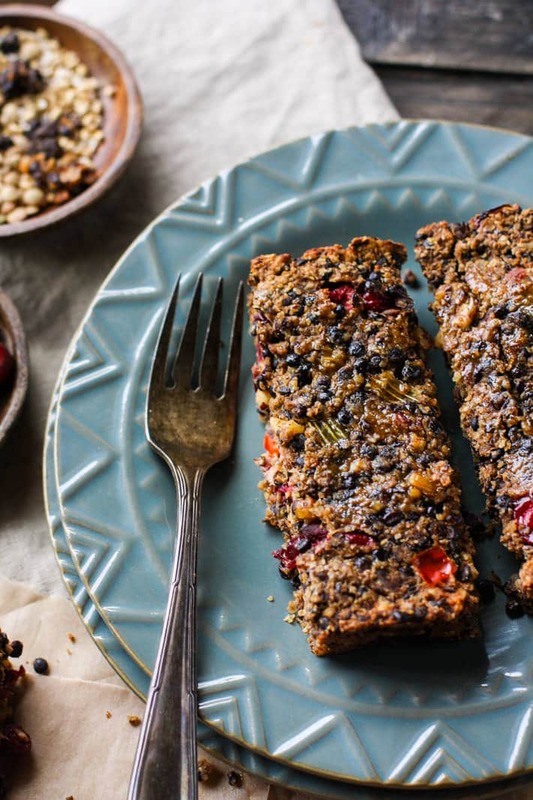 I’ve never tried a lentil loaf before, but it’s definitely on the to-make list! You better believe a lentil loaf has been on my recipe bucket list! Yours, with the maple glaze, that just takes the crown! Fantastic!!! So perfect for VEGAN holidays! My friend made a vegetarian loaf from Smitten Kitchen last year for Friendsgiving and it was YUMMY! I agree with you that it’s so nice to include everyone at the table. I say that EVERY year about the holidays coming faster than ever. Maybe that means I’m older than ever? Haha! Love this loaf. I think even my meat-loving love-ah would eat this. With a side of bacon. ? Interesting I have never had a lentil loaf. 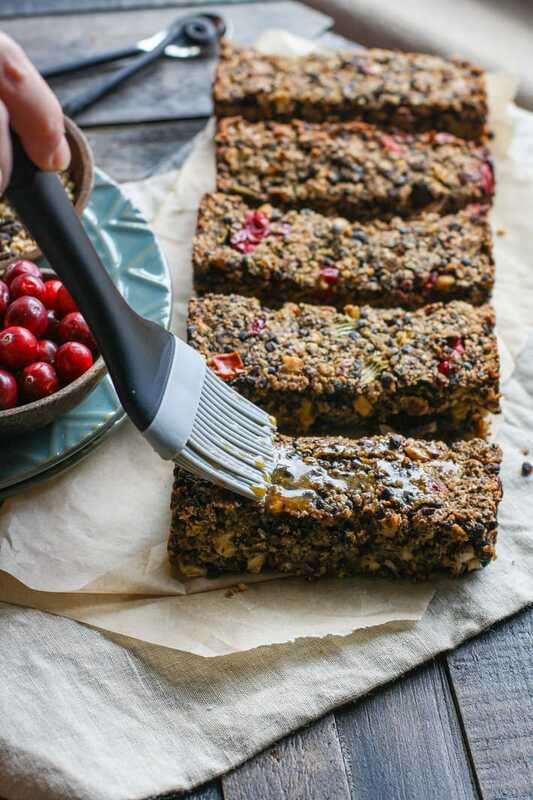 Since my daughter said “those granola bars look yummy!” would it be wrong to make these for dinner and tell her they are the granola bars she thought looked good? Haha. If only I had an oven I would try it tonight! I say the same thing every year too around this time, “Like where did the year go? !” Craziness I tell ya. Anyways, I LOOVE this loaf, girlfriend! I love lentils, but I have never thought of turning them into a baked good! Genius and absolutely gorgeous! I have GOT to try this! Cheers! I think I’m throwing my calendar away! This time going by bizness is nutzo! But – this bar isn’t nutzo at all – I am so intrigued! You are brilliant to throw lentils, celery, onions and cranberries into one loaf and glaze it with a maple glaze! This is going to make it onto our table (as long as my cooking skills hold up). My brother and his wife have gone vegan! My aunt is a vegetarian so I always struggle with what to make her as a main dish for the holidays but this is perfect, she would love it! Thank you! omg.. im obsessed. This looks simply delicious, and the loaf is beautiful! I’ve been thinking about a maple cranberry combination for Thanksgiving as well! Your photos are so gorgeous – I love the colors of this one! Looks amazing!! 🙂 thank you! Is it possible to make this nut-free do you think? So creative and colorful! I’ve tried a few lentil loaf recipes before but I was never super impressed with the flavor. This one looks like it would be anything but bland! Definitely going to have to give this a try! i love your creative brain. So 3 cups water. 1 cup lentils equal 2 cup cooked? I have never made lentil loaf, but I have always wanted to- I just never found a recipe that looked worth the risk – what if it is gross? This looks amazing, and so far from any fear of lentils for me. I am pinning to try this as soon as I get some Chia! You are definitely helping to make my holidays just a little bit happier! Gluten-Free! I can do this! I love lentils! This looks like a wonderful option for vegetarian/vegan Thanksgiving guests. What a creative idea.The maple balsamic glaze sounds delish! YES!!! As someone who doesn’t eat turkey, I can say this would make me jump for joy if it was served at Thanksgiving dinner!! I’m all about the flavors – and that glaze – yum!!! Love the color and all the seasonal flavors! THIS LOAF COMPLETED MY THANKSGIVING FEAST! So amazing I love it and will definitely be making it sooner rather than later!! P.S. I incorporated the walnuts into the bread/oat flour mixture after processing. The directions do not state what to do with the walnuts so can you please let me know? Thanks! Question – can the loaf be made the night before then popped into the oven ahead of the dinner? My mother-in-law is vegan so I think this would be a great option for her but our prep list the day of is pretty lengthy so I’m hoping to do as much ahead of time as possible. Thanks! I think that should be just fine. The chia might thicken a little, but that’s it. Keep me posted! wonderful! keep me posted. Feel free to message if you need help. Merry christmas! Best lentil loaf EVER! And the glaze is to die-for! Made it for Thanksgiving this past year and my animal-eating guests LOVED IT!!! Some thought it tasted like ground beef (yuk!) and I ended up with no left-overs – yah! Now that’s a compliment for sure! But the glaze took center stage, and with good cause as it’s OMG beyond good! I make the glaze often , bottle it, and keep it as a condiment in the fridge. I mean this stuff is GOOD! So thank you Lindsay for these spectacular recipes. Thank you oh so very much 🙂 By the way, I have made your lentil loaf and glaze many times since. I am a long time vegan, love love love making beautiful raw dishes but I also make cooked meals (though raw rocks my soul – yum!). Again, thank you Lindsay; I love finding new yummy recipes. wonderful! so glad Ronna! That’s a favorite as mine as well. Thanks for your kind words. ENJOY! Loved this! It was MY main course for New Year’s dinner. I used brown lentils … will look for black lentils for next time. Didn’t use all the oat mix … was afraid it would be too dry. Will use less (if any at all) maple syrup … sauce too sweet … masks the great flavor of the loaf itself. Oh wonderful! Love that you used brown lentis too.